There are three things you should never skimp on in life: produce, airlines and a handbag. If not bought properly one will give you diseases, one will lose your luggage and one will fall apart. Seriously, I have been that girl toting around a bag when the strap just breaks, and in that moment I wish I would have just saved my money for something nicer. But what do you do when you love to save your money, but crave another bag every other month? Last week I found the solution: Keeks. Keeks is a luxury resale boutique that specializes in Gucci, Louis Vuitton, Chanel, Prada and many more designers. They have every bag from the Michael Kors Hamilton to a Celine. They get their merchandise two ways, one being department store auctions, the other resale. Keeks isn’t a consignment store, so if you were to sell to them there is a process of going through a third party to guarantee the bag is authentic and then you are paid. I visited last week to take a peek at the Chanel bags and this is the adult version of a candy store. The bags don’t look like they have even been touched and there are hundreds. Just staring at you. Tempting you. You could walk away with three Chanel bags for what you would spend on one at the boutique in Highland Park Village. Want a Louis Vuitton tote for work? Done and you can throw in a wallet for less than what you would have paid at the Galleria. I wanted to share this with you all, because I believe that blogging is all about being honest and real. The owner, Kristen Donnell understands what it is like living in Uptown Dallas in your twenties. Kristen wants girls to be able to buy Chanel AND have Chardonnay for dinner at girl’s night. Just because you want a nice handbag to pull your look together doesn’t mean you should have to sacrifice your lifestyle. 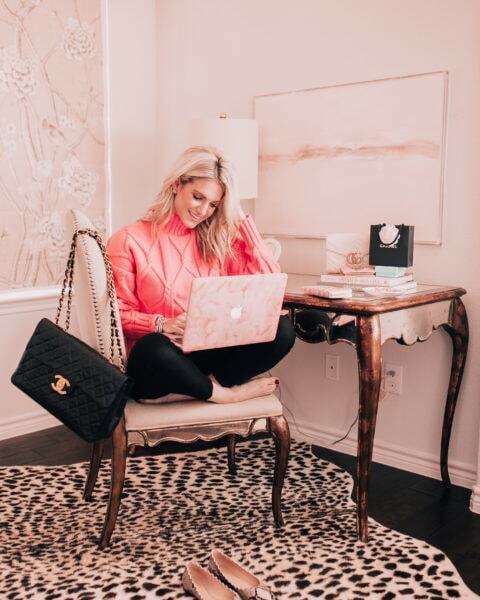 She also spent years as a financial analyst at Goldman Sachs and understands the importance of saving for your perfect bag, as opposed to buying a million less expensive ones. So if you go into Keeks and don’t see your dream bag, she doesn’t want you to waste your money. There is a request list and she will hunt it down for you. They have two locations one in Vista Ridge Mall in Lewisville and one in Dallas on the corner of Preston and Frankford. I love the owner Kristen so much, so I figured I’d ask her a few fun questions before y’all go visit! 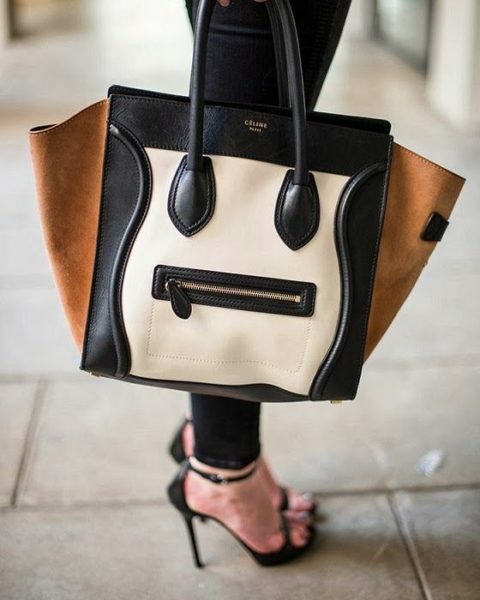 What was the first designer bag you ever purchased? My first major designer bag purchase was the Louis Vuitton Neverfull MM that I still carry today – it has been quite the trooper! I guess you could say my mom introduced me to the finer things when she bought me my first Coach bag for Christmas in high school! What is the must have bag for fall? I think the must-have bags for fall are a large satchel for the day, and a sleek clutch for night. And just because it will soon be cold and grey outside doesn’t mean your wardrobe should match! A pop of color from your handbag is a must. My Neverfull is AMAZING – it truly is NEVER full! On any given day, you would find my moleskin notebook for my business notes and to-dos, my graphic image pocket datebook, my wallet, a Chapstick (or two), and something random – today it was a box of industrial strength Velcro! Let me know which bags are on your must have list! I could not agree more – a bag, a luxury bag, will be with you for a very long time!! I wish we had something like that here in Boston!